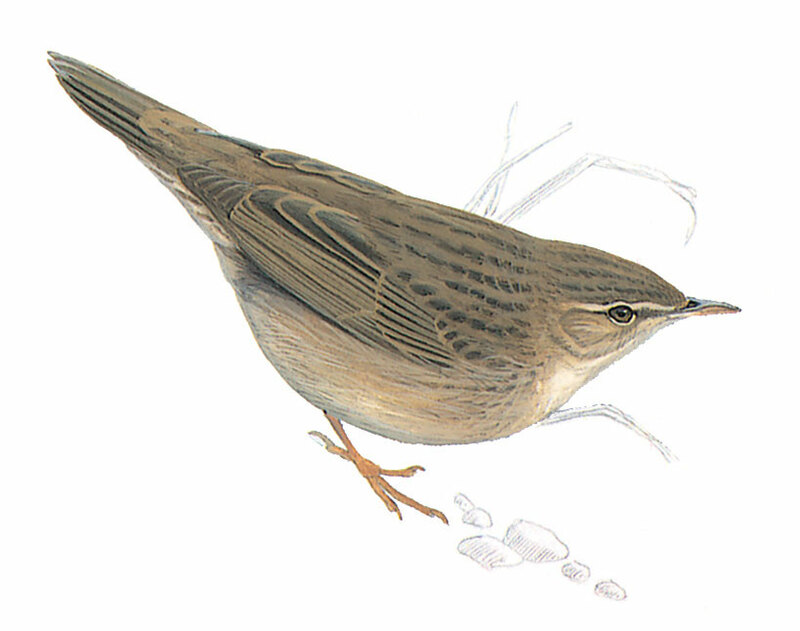 Small, dark skulking warbler with rounded tail when seen flushed and flying to cover, in short jerky flight. Upperparts olive-brown, heavily streaked, with faint supercilium. Underparts dirty white with streaking on rear flanks, undertail, and sometimes on darker breast.